This memoir is unlike anything I've ever read, yet I fear that there are others who were raised in circumstances like Tara Westover. Westover documents her childhood devoid of education beyond the family's radical, extreme, doomsday religion with chilling detail as if investigating herself as a case study will help explain how she escaped. Highly recommend. 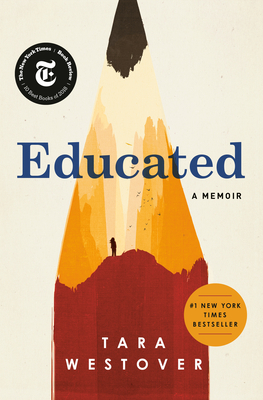 Not for the faint of heart, Educated is the exquisitely written and painfully detailed story of a daughter who dared to dream of a life outside of the isolated home her parents created for her and her siblings. The education Westover acquired refers not only to her advanced degrees from famous universities but to the lessons hard won in her home as a child and teen.